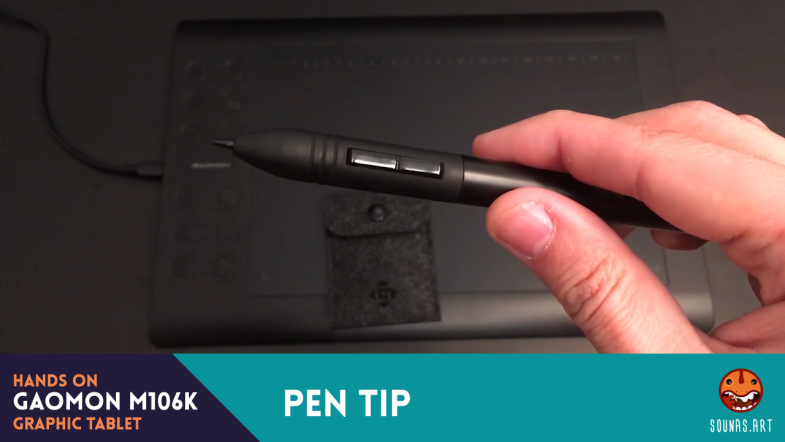 Do you want a nice alternative to Wacom Intuos tablets? 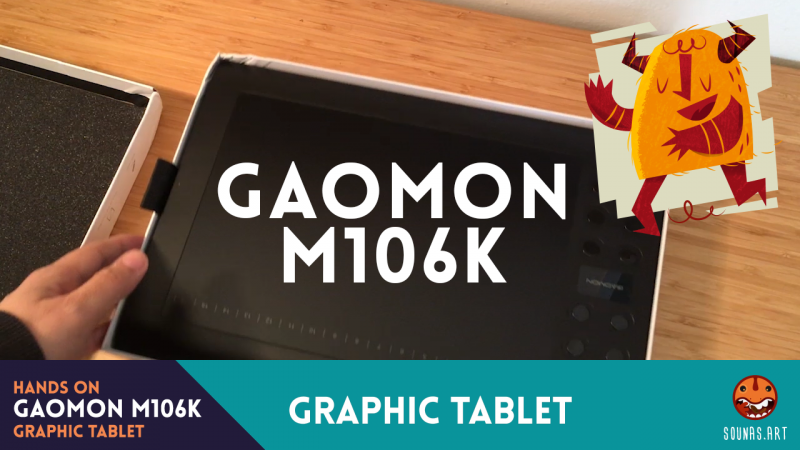 Then check GAOMON M106K graphic tablet! Do you want a nice alternative to Wacom Intuos tablets, then check GAOMON M106K graphic tablet, a low-priced tablet but powerful yet, which I highly recommend. 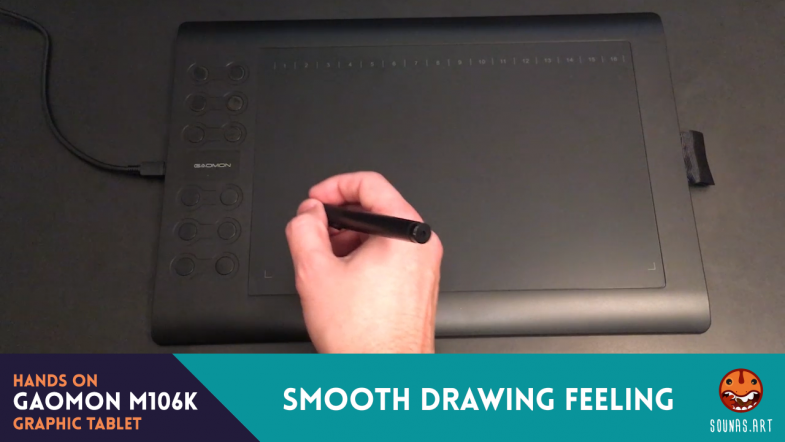 I had the chance to be provided one to test and it really impressed me with its smooth lines and comfortable drawing feeling on its surface. 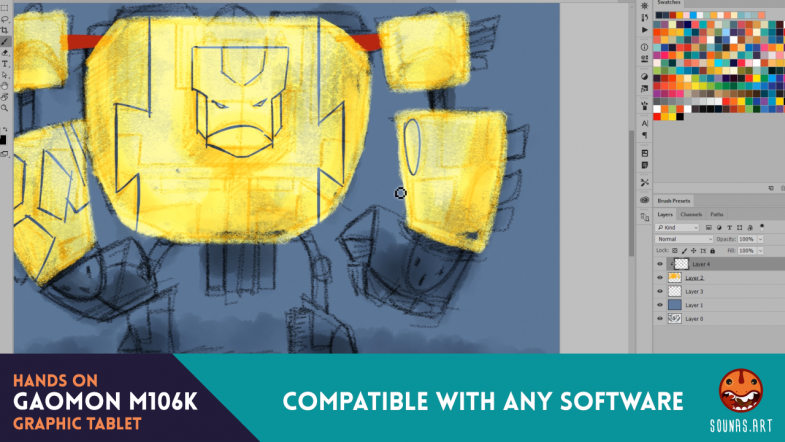 Suitable for: illustration, painting, design, video editing, photo editing, animation, CAD design, 3D sculpting, compatible with any software. 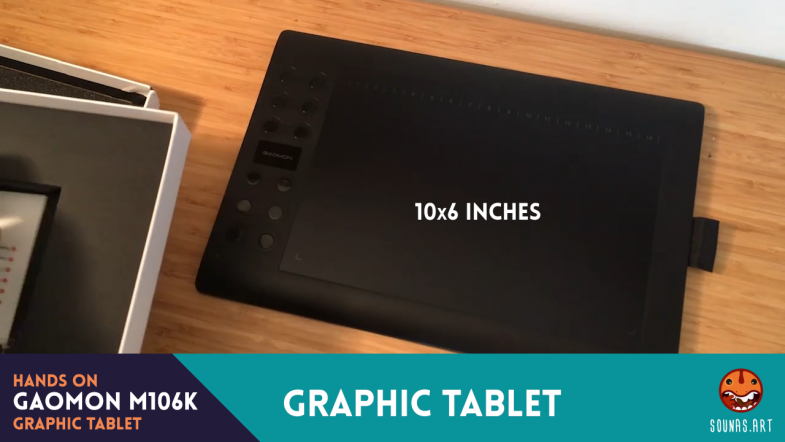 I tested this tablet with Adobe Photoshop, After Effects, Adobe Illustrator, Autocad, Sketchbook, Krita, Animate (ex Flash), InDesign and it worked fine. 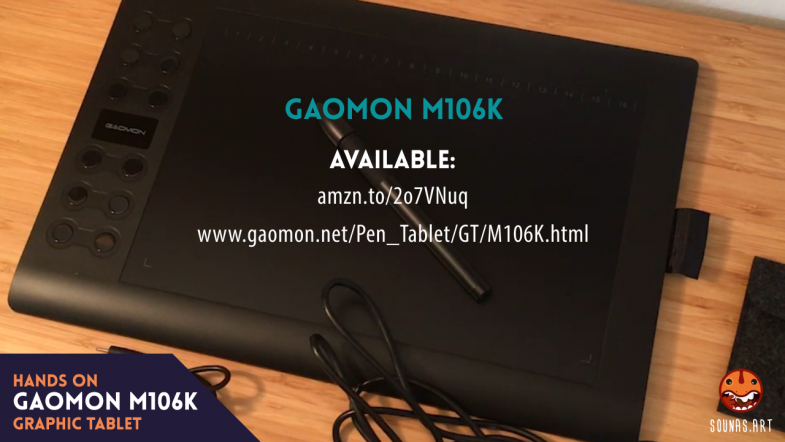 GAOMON M106K has a 10×6 inch active area, includes a reachargeable pen stylus (usb cable included) and it provides 28 (!) 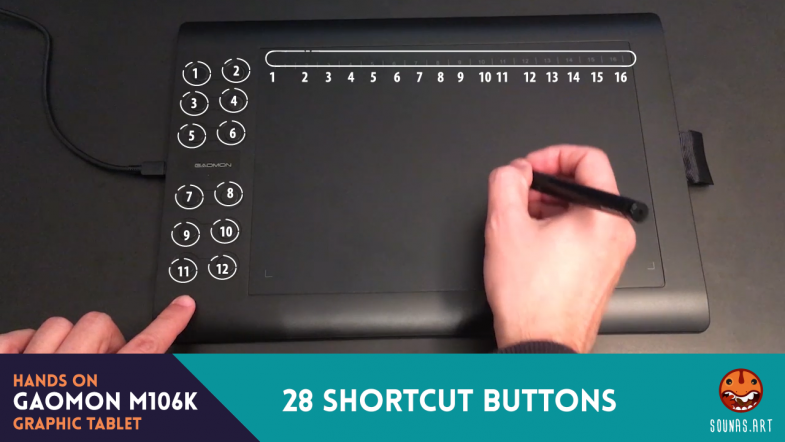 programmable buttons to assign whatever shortcuts you like. 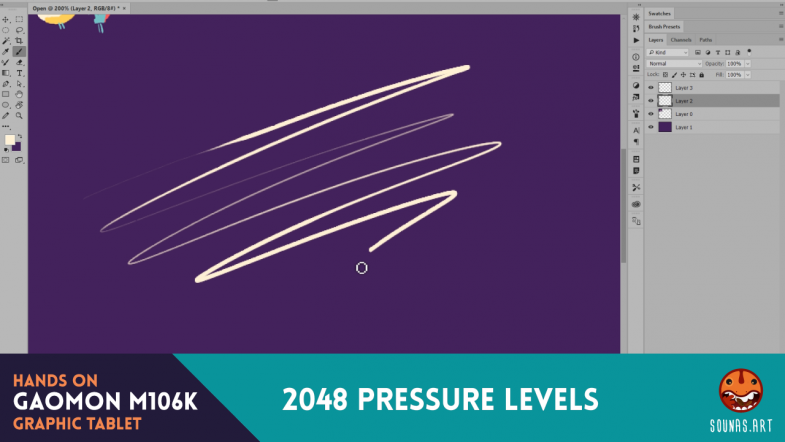 Its stylus supports 2048 pressure levels and it has two programmeable buttons on it. Their driver window provides with many setting like velocity, pressure styles, mapping, programming the shortcuts buttons etc. You can also find extra replacement nibs inside the original package. 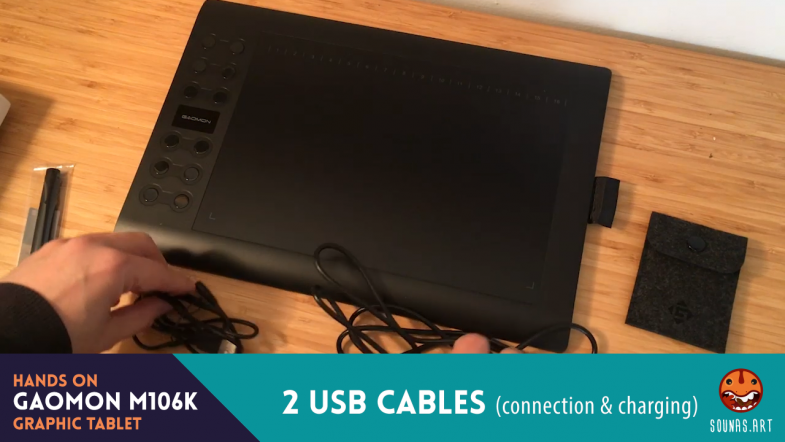 I own many Wacom products and I can say GAOMON tablet looks very solid, efficient and comfortable to use with very smooth lines. Photoshop, Illustrator, Sketchbook, Krita and everything worked fine!